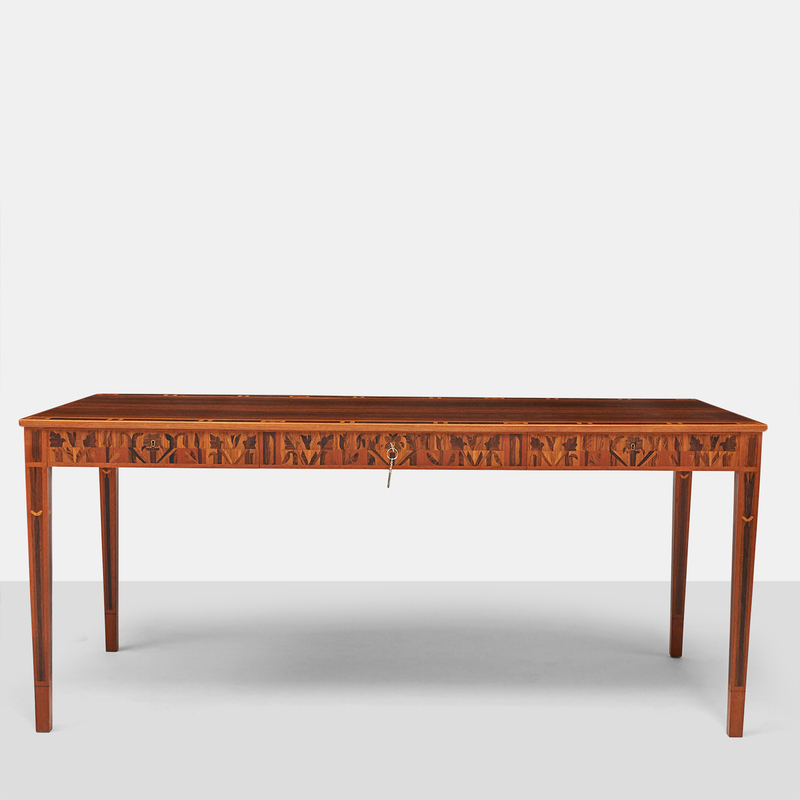 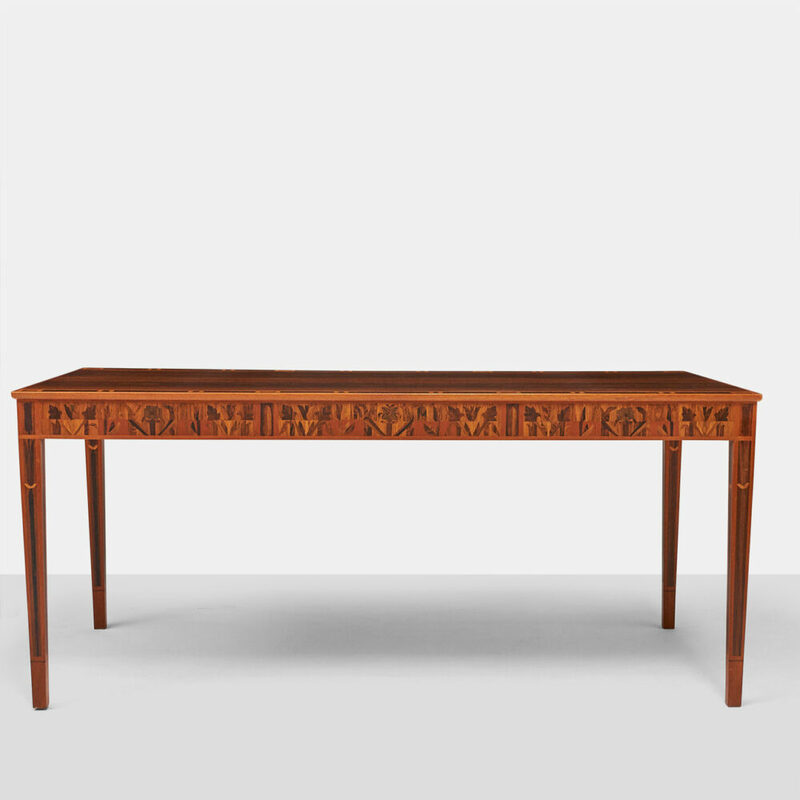 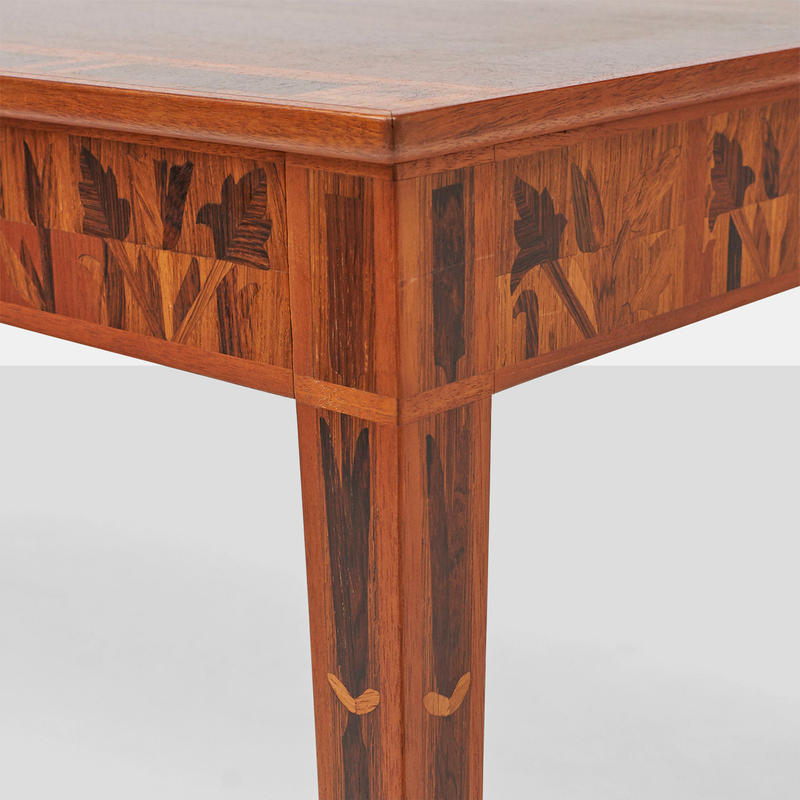 Carl Malmsten Desk with Brazilian Rosewood Inlay. 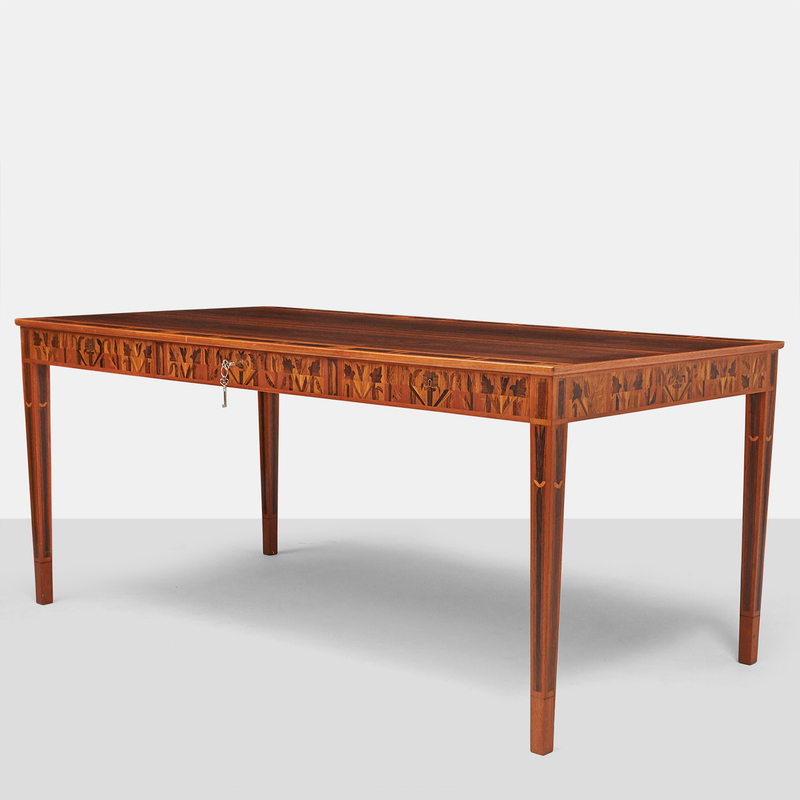 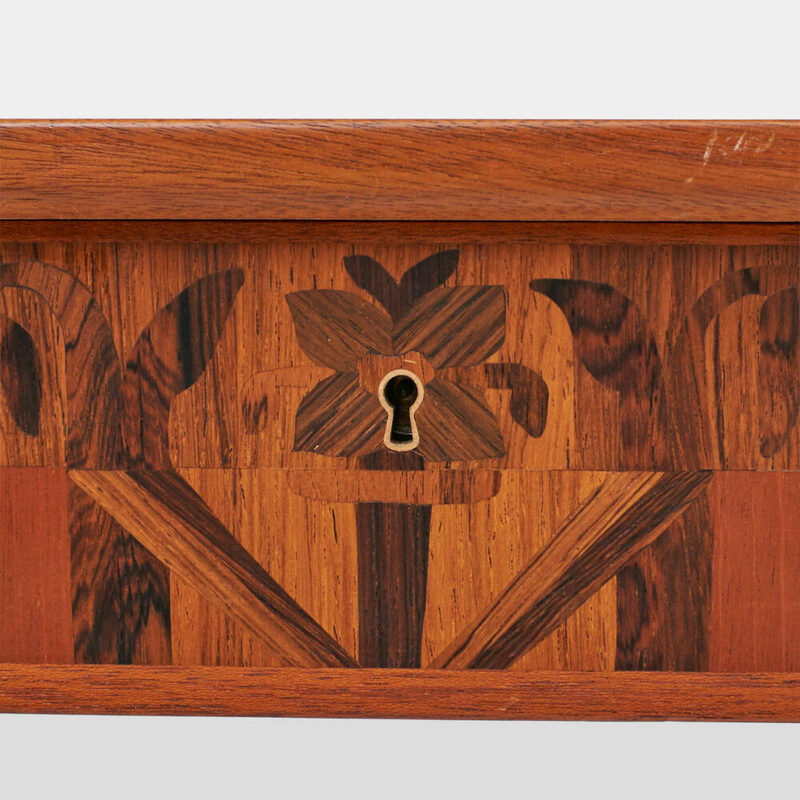 A spectacular rosewood desk with locking drawers and brilliantly inlaid woods along the apron and legs . 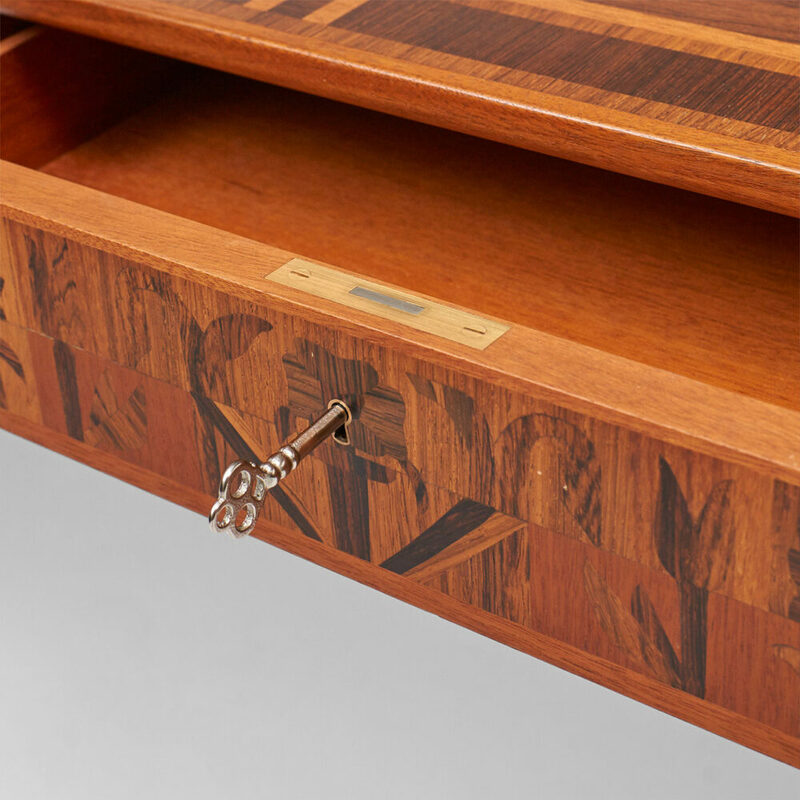 Various wood species inlaid in Brazilian rosewood. 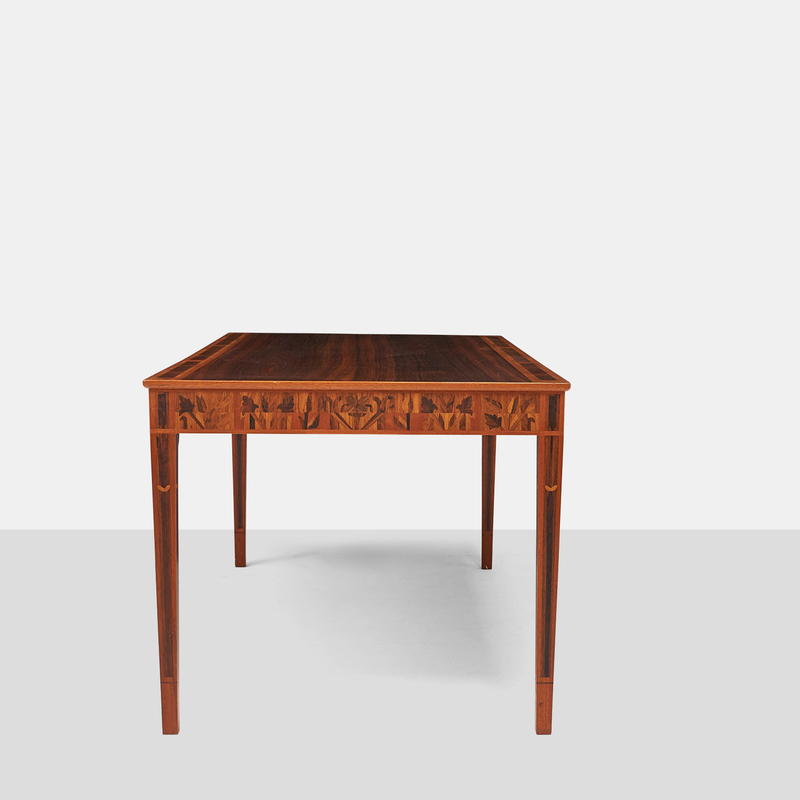 Literature : Carl Malmsten – Swedish Furniture; Basel 1954, p. 82. 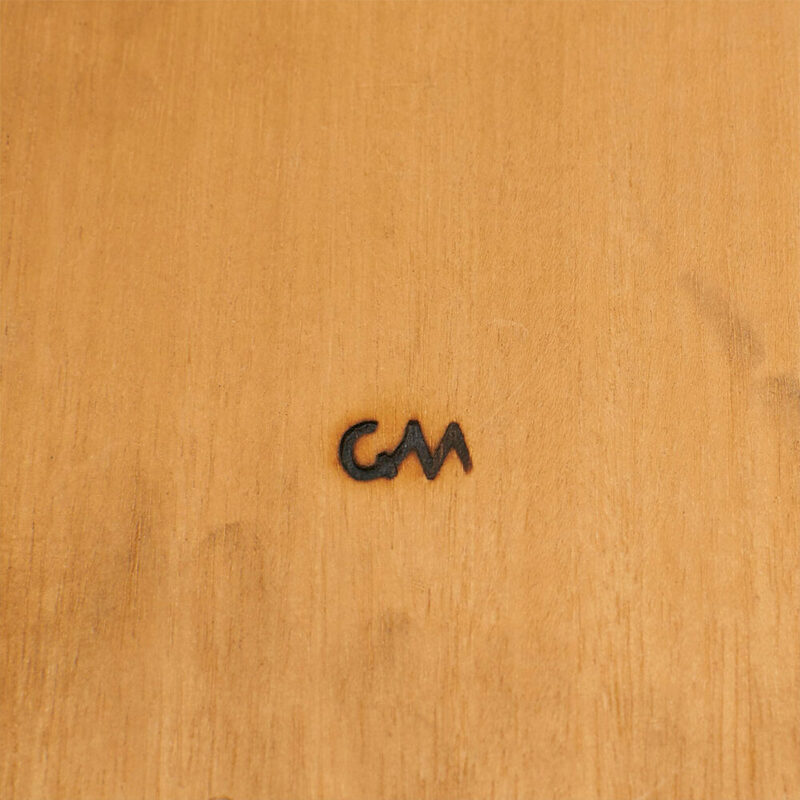 Condition: ExcellentMinor ding in front edge which we can remove upon request.